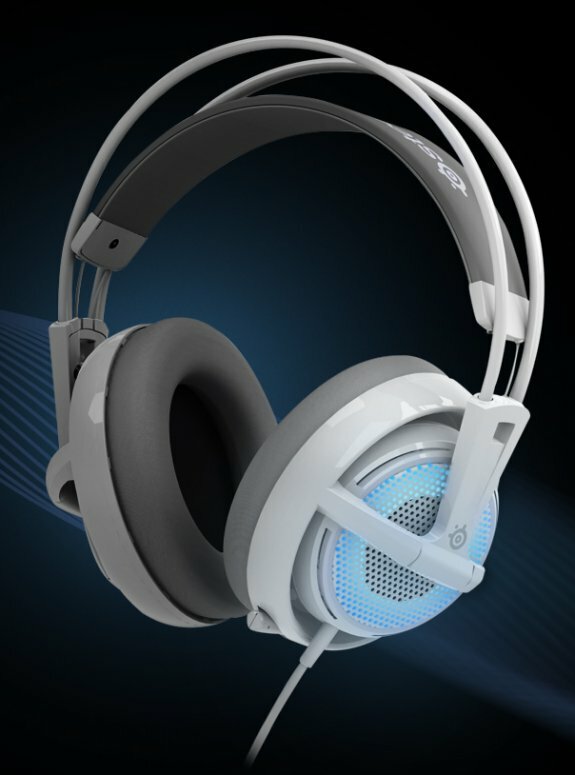 SteelSeries shows off the Siberia V2 Frost Blue, a new headset with side-illumination. Kicking off CES, SteelSeries the leading manufacturer of premium-quality, competitive gaming peripherals, today introduced the Siberia v2 Frost Blue Headset. The super-bright, blue LED lights glow through the outer mesh grill on each earcup, the Siberia v2 Frost Blue’s lights and soundscape can be customized through SteelSeries Engine software. It has an incredibly lightweight, over-the-head suspension design with an active noise-cancelling microphone and circumaural earcups that feature 50mm driver units, covered by grey leather cushions for a noise-dampening sound. The headset illumination offers 6 different modes and can be assigned to behavior and game specific profiles through the SteelSeries Engine, including: Active Mode (responsive pulsing to sound effects, music, and/or voice), Slow Pulse, Fast Pulse, High Bright, Low Bright and Off. The Siberia v2 Frost Blue will also features an active noise cancelling, “smart” microphone system that retracts when not in use. The microphones processor reduces the “noise” and focuses on the sound that is closer to the mic, your voice. Its in-line volume and mute controls are found on a durable, double-braided nylon cord with a USB connector. The SteelSeries Siberia v2 Frost Blue will be available in Q2; pricing will be announced closer to availability.